It's the final day of Reebee's Day of Christmas giveaway! The final retailer is Leon's, one of Canada's top retailers in home and appliance. 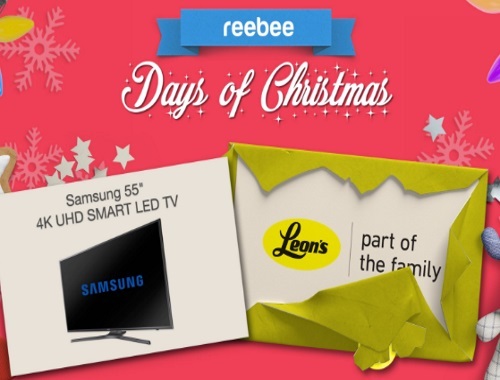 They are giving one lucky reebee user a Samsung 55" 4K UHD Smart LED TV! To enter fill out the form at the link below! The contest ends today (December 24) at 11:59 PM.